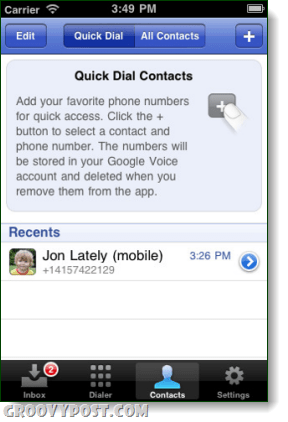 Want to use Google Voice on your iPhone? Finally, there is an official app for that. 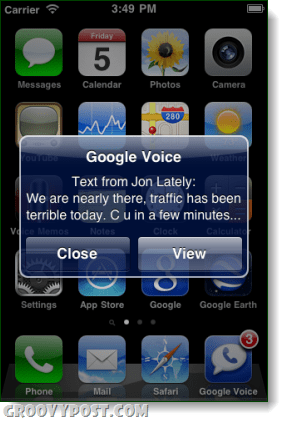 Earlier today Apple and Google finally worked through their differences and brought the real Google Voice to the iPhone. The app works as expected, much like what many Android users have been enjoying for some time now. After seeing it in the App Store I was happy, but amused. How does this really change anything, we already had the HTML5 version of Google Voice available in our iPhone browsers. With it we could text for free, make calls using our Google Voice number, and read voicemails. Aha, but there are a few things the webapp didn’t have. The biggest change is Push notifications. With the webapp, checking your Google Voice texts meant constantly refreshing the browser window. Push allows you to relax and let the messages come to you. Whenever you receive a new text or voicemail, Push will now automatically send you an alert, no matter what you’re doing on your iPhone. Another groovy feature that the webapp didn’t have is Quick Dial. It works a lot like speed dial, but Quick Dial allows you to get in touch with your contacts even faster and… since Google is big on speed, they’ve incorporated instant dialing through direct access numbers. This means you won’t have to wait for Google Voice to call you back anymore, it will just automatically call whoever you dial by using an external routing telephone number and since it integrates with your on-device contacts… very groovy! If you look at the already huge ratings in the app store you’ll find that most people gave Google Voice a 5-Star review. 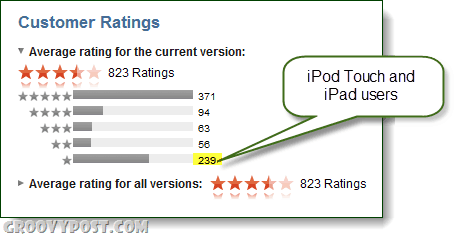 However, there’s also a good chunk of users that gave the app only 1-Star. Their reason? They don’t have an iPhone! Google Voice for iPhone is a free app so if you haven’t already done so, you can download it in the App Store from iTunes or directly from your device.